seemed to enjoy it all and the point of it all – flogging Buddhas – was achieved. 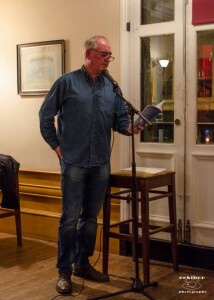 In Praise of WLJ was going particularly well until it was pointed out that despite the rant in the poem I was wearing trousers with buttons. If that’s lost on you, you’ll have to buy the book. Cries for an encore caught me by surprise, but I suspect these had been orchestrated by that nice Mr Parrish. Still, the sound of warm applause is always welcome, no matter how it’s come about. Great also to see some old pals, who’d travelled all the way up from Nailsworth in Gloucestershire. For this first time, I tried a couple of the more personal, reflective poems which broke up some of the funnier stuff – laughs in all the right places, I’m pleased to report. So, booking some more gigs around Liverpool, and maybe beyond. Keep an eye out for appearances. Finally, big thanks to all who contributed on the night, including the gallant team from the Poised Pen, as the evening segued into the launch of our latest group anthology. 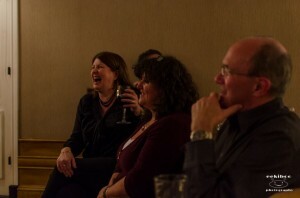 Thanks also to Eekiboo Photography, for a portfolio of brilliant photographs.